If you already have a program booked, please confirm online. 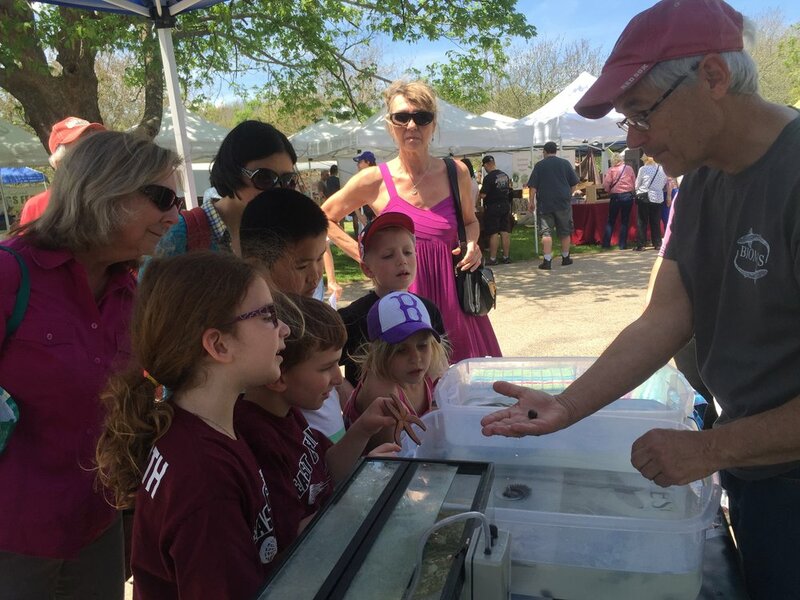 Our Traveling Tide Pool is a hands-on experience that we can bring to you! Great for book fairs, assemblies, and other events. We set up our tidepool bins containing animals like starfish, sea urchins, whelks, spider crabs, oysters, as well as hermit and horseshoe crabs. We will also set up a small fish tank containing other animals like seahorses, pipefish, and brittlestars. Participants can come visit the bins at their own pace and our staff will educate them about the animals and answer questions. Please provide our educator with two 6-foot tables to use. If event is held outdoors, we must be provided with shade for the health of the animals. Mileage calculations will be made using Google Maps.